" They may not be able to stay on their range, but with your help, at least they will still be free." Click on the link below to donate through PayPal. The horses that live on the Sheldon National Wildlife Refuge are managed by the US Fish and Wildlife Service (FWS). 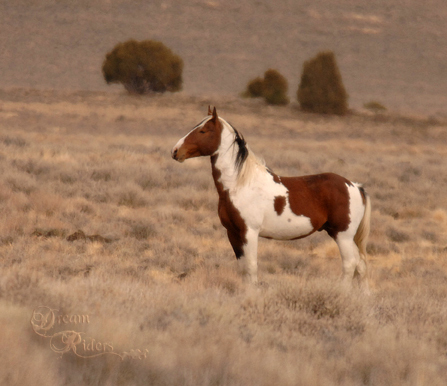 Unlike horses that live on Federal lands and managed by the Bureau of Land Management (BLM), they are not protected by the Wild Free-Roaming Horse and Burro Act passed in 1971. In the past, management has included being rounded up and sent to slaughter, and experimental fertility control. Most recently, the FWS approved its Comprehensive Conservation Plan (CCP) for managing Sheldon National Wildlife Refuge, which includes the plan to remove ALL horses and burros from Sheldon Refuge by 2017. Removal of these horses started in 2013, and 415 horses were gathered. Horses were sent to three separate contractors, and there is some concern among wild horse advocates that the contractor who received the majority of the horses (252), may have allowed most of the horses to be put into the slaughter pipeline. This included pregnant mares. FWS began removing the remaining estimated 450 horses from the reservation in August of 2014. Once these horses are sent to various contractors - no matter what the outcome - this historic herd will be dispersed and gone forever. Although the previous contractor is no longer being used by FWS, it is believed that three new contractors allowed their horses to enter the slaughter pipeline. The Mustang Project received a total of 60 horses from FWS in the fall of 2014. We requested the horses that were at most risk of going to slaughter - the older horses and those with injuries that make them "unadoptable" - to provide them sanctuary. The horses are currently in three separate locations, and we are in search of property for a permanent sanctuary for these horses. They may not be able to stay on their range, but with your help, at least they will still be free. Your donation of any amount will help us provide a permanent sanctuary where they can live out their lives in peace and freedom! You can make a donation through one of the links below. Sheldon National Wildlife Refuge. This is the official US Fish and Wildlife Service site about the Sheldon horses, including a copy of the Comprehensive Conservation Plan.